The Picquic Multique handle contains 6 extra long, 3/16" hex power bits. Simply use the 7th bit to push out the one you want and install in the shaft. Made from high strength plastics for ultimate rugged durability. Includes 7 bits with storage in the slim, comfortable handle. Colors vary. Includes 3 Philips #0,1 & 2. 2 Slot 3/16" & 5/32". 2 Torx #6 & 8. Consolidate your toolbox with one handle, many drivers. Overall length with bit installed: 6 15/16". 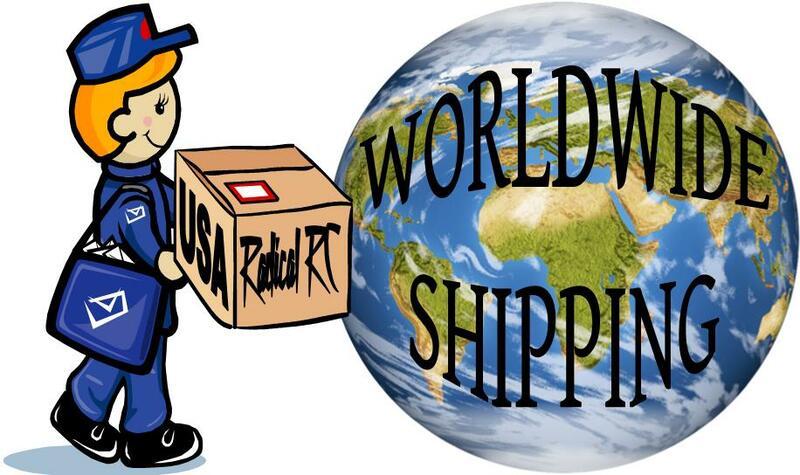 Quality, precision Felo Tools Made in Germany & represented in USA by Bondhus Tools. 6 piece set includes Slotted and Phillips points. 4 each 240 Series slotted: 1.5 x 60/ 2.0 x 60/ 2.5 x 60/ 3.0 x 60 and 2 each 242 Series Phillips: 00 x 60/ 0 x 60. Rotating cap on ergonomically refined handle design with hanging holes for easy storage or inserting lever. Pleasant soft-grip outer material on handles for comfort. Anti roll handle design. Blades manufactured from chrome molybdenum vanadium steel. Precision fit tips. Set comes in a handy storage box with a see-thru, snap-lid . Quality, precision Felo Tools Made in Germany. 6 piece individual screw driver set. Torx & Hex points. 4 each 248 Series Torx: 6 x 60/ 7 x 60/ 8 x 60/ 9 x 60. 2 each 248 Series Hex: 1.5 x 60/ 2.0 x 60. Rotating cap on ergonomically refined handle design with hanging holes for easy storage or inserting lever. Pleasant soft-grip outer material on handles for comfort. Anti roll handle design. Blades manufactured from chrome molybdenum vanadium steel. Precision fit tips. Set comes in a handy storage box with a see-thru, snap-lid . Quality, precision Felo Tools Made in Germany. 6 individual reversible driver set with universal handle/driver holder. Includes both Slotted and Phillips screwdriver points. 3 reversible slotted: 1.5 x 120 &3.0 x 120. 2 reversible Phillips: 0 x 120 & 1 x 120 and 000 x 120 & 00 x 120. 1 reversible PZ tip: 0 x 120 & 1 x 120. Sizes marked on each driver. Rotating cap on ergonomically refined handle design with hanging holes for easy storage or inserting lever. Pleasant soft-grip outer material on handles for comfort. Anti roll handle design. Blades manufactured from chrome molybdenum vanadium steel. Precision fit tips. Set comes in a handy storage box with a see-thru, snap-lid . 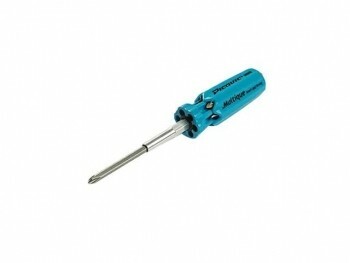 RRC 2 in 1 Screwdriver 3/16"
Tip reverses from Phillips to flat tip. About 5" overall with handy pocket clip on handle. Photo shows tip outside of handle to show both type tips. Please note, handle color will vary.